Our economy and future way of life depend on how well American manufacturing managers adapt to the dynamic, globally competitive landscape and evolve their firms to keep pace. A major challenge is how to structure the firms environment so that it attains the speed and low cost of high-volume flow lines while retaining the flexibility and customization potential of a low-volume job shop. The book's three parts are organized according to three categories of skills required by managers and engineers: basics, intuition, and synthesis. Part I reviews traditional operations management techniques and identifies the necessary components of the science of manufacturing. Part II presents the core concepts of the book, beginning with the structure of the science of manufacturing and a discussion of the systems approach to problem solving. Other topics include behavioral tendencies of manufacturing plants, push and pull production systems, the human element in operations management, and the relationship between quality and operations. Chapter conclusions include main points and observations framed as manufacturing laws. In Part III, the lessons of Part I and the laws of Part II are applied to address specific manufacturing management issues in detail. The authors compare and contrast common problems, including shop floor control, long-range aggregate planning, workforce planning, and capacity management. A main focus in Part III is to help readers visualize how general concepts in Part II can be applied to specific problems. Written for both engineering and management students, the authors demonstrate the effectiveness of a rule-based and data driven approach to operations planning and control. They advance an organized framework from which to evaluate management practices and develop useful intuition about manufacturing systems. 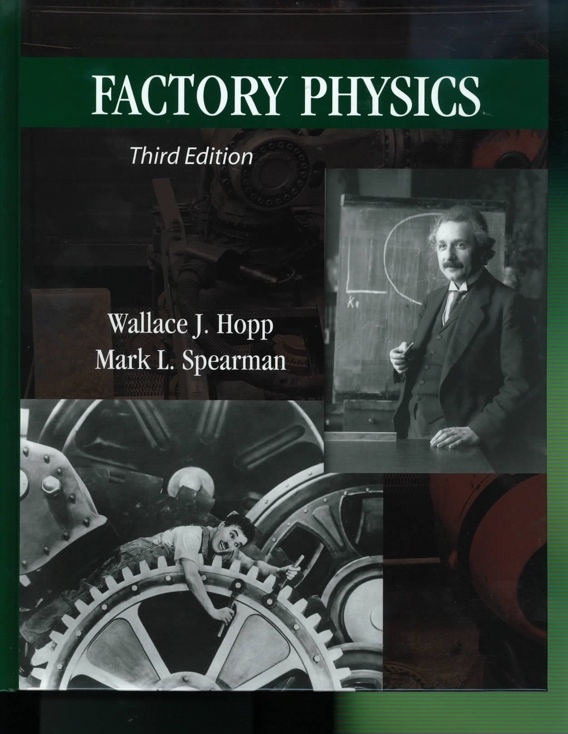 A solutions manual for only the even number problems in Factory Physics, 3rd Edition can be purchased for $10. Once payment has been confirmed, the PDF can be downloaded.